Both of these products come perfectly presented inside the tube seen above and wrapped nicely in cute paper that was designed by Alexa herself. As usual with all Eyeko mascaras, also included in the set is a lovely little mascara shield that is also unique to Alexa's design. Firstly, I'd love to show you the results of Alexa's 'Eye Do' mascara. I'm already a huge fan of the mascara's eyeko already have to offer (they are my go-to mascaras and I use them almost on a daily basis), yet this mascara definitely made my lashes appear more feathery and fanned out, all whilst adding volume to my otherwise lacking natural lashes. It's also extremely noticeable just how black and bold this mascara is when it's applied, and as a result it instantly made my eyes look more open and awake. I only found the need to apply one coat of this mascara since I was already satisfied with how much better my lashes looked with just the one application. Even though the wand is quite large, I still found it easy enough to apply without getting excess product all over the surrounding eye area (pet peeve!!!). During in the time I wore this mascara I didn't experience any kind of flaking, nor did I see any product transfer to my (oily) upper and lower lid area, either. Bonus! What Eyeko say about this product: "Create perfectly fanned out lush lashes with a carbon black finish. Key ingredients include Ginkgo Biloba, Shea Butter, Vitamins, antioxidants and botanical proteins to condition and promote lash growth." I've already spoken very highly of Eyeko's liquid eyeliner pens multiple times before, but this is hands down my absolute new favourite. One of the only slight negative things I could pick up on with their original black eyeliner is that it wasn't as black as I would normally like, but this one absolutely 100% makes up for that! 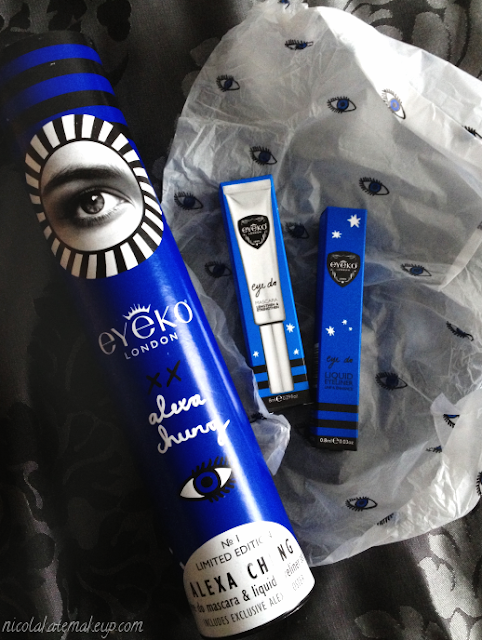 I also mentioned in my original review just how easy the Eyeko liners are to use and this one is no exception. If anything, it's even easier to use as the nib is slightly smaller and more pointed - giving ultimate control during application. It took me about a minute to apply my eyeliner in the photograph below, compared to the usual 5 minutes or so it would take me to perfect my gel eyeliners. 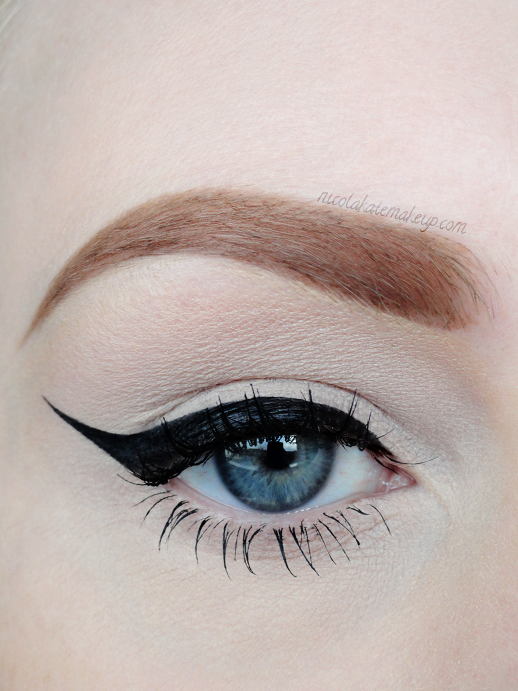 It really is that effortless and I would highly recommend this product to those who are just starting out with eyeliner, and those who have always maybe struggled with it a little. What Eyeko say about this product: "Intense single stroke waterproof carbon black colour . Easy-to-use precision tip creates the perfect line to subtly accentuate the eye or create a dramatic winged eye. 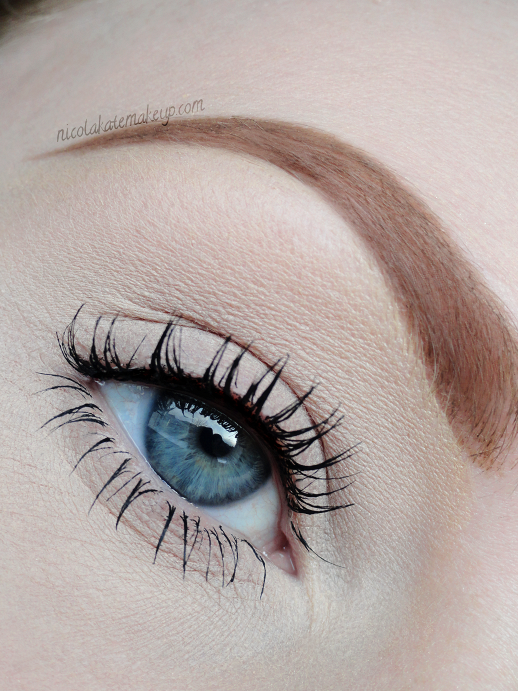 Glides on over eye shadow and stays on even on the waterline. Features WIDELASH™ to helps eyelashes appear longer, fuller and stronger with up to 3 times more volume in just 15 days when used regularly." It already felt like Christmas had come early for me when I received my set in the post, so I know that any makeup lover would be stoked to open this on Christmas day so take advantage while stocks last! hi I really love your review! but is this limited edition set still available at Sephora?